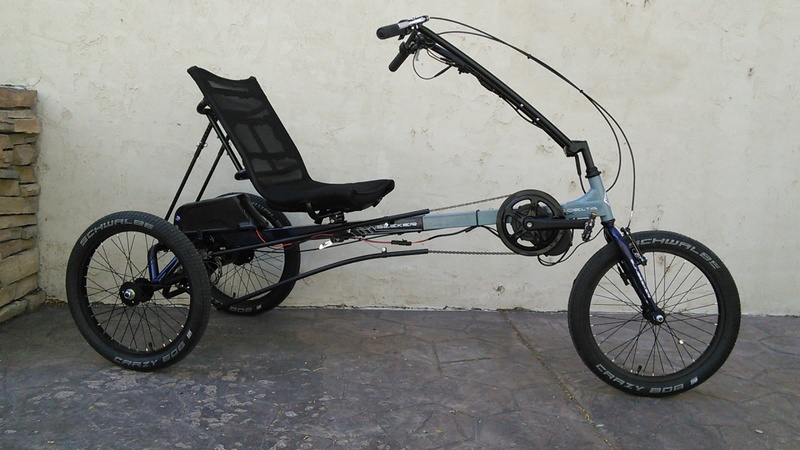 The Eco Delta SX is one of the newest additions to the SunSeeker delta trike family. 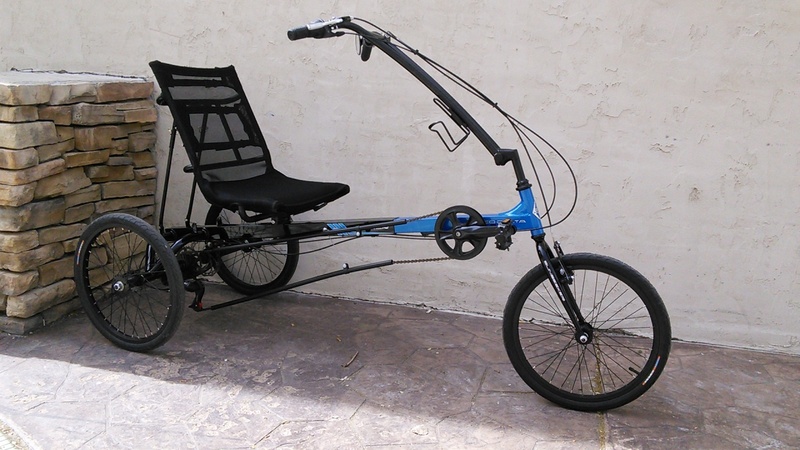 This is our most affordable trike, but just because its affordable doesn’t mean that it is not full of features. 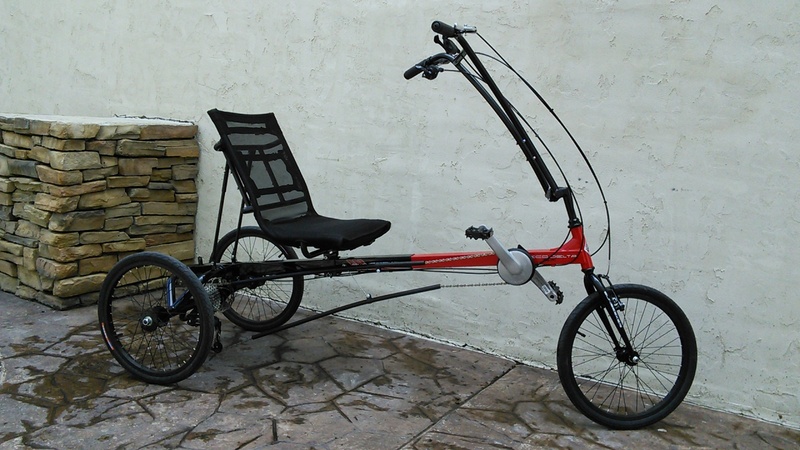 Unlike most of the recumbent trikes for sale that we have, the Eco Delta has one wheel in front and two in the back. 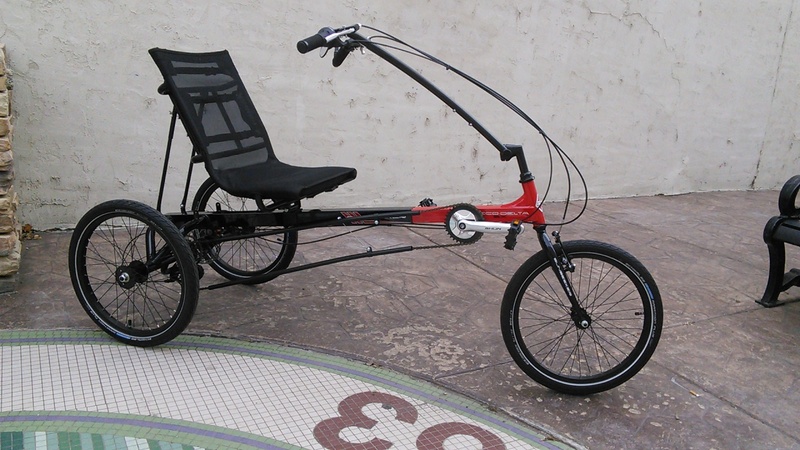 This raises the seat up higher which is why many choose the delta trikes. 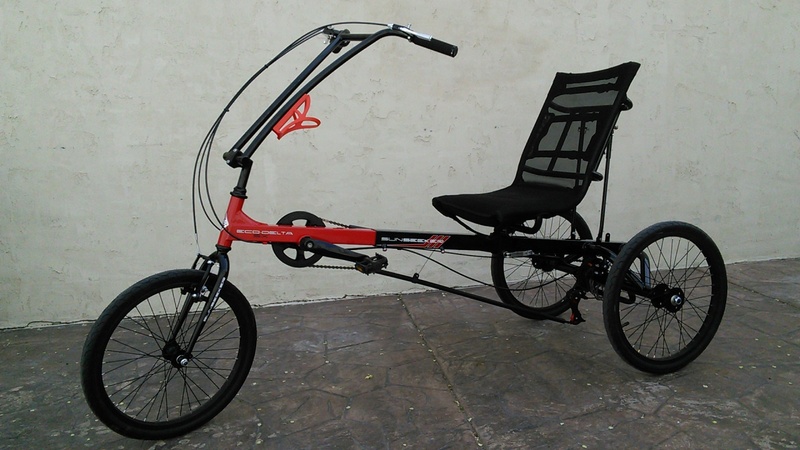 This is the most comfortable delta trike available. The seat sits 23 inches of the ground making it easy to enter and exit. 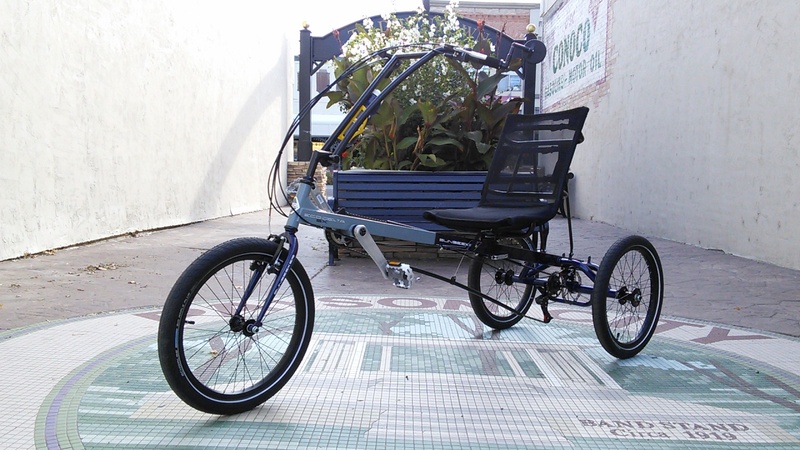 With the Delta, your seat is fully adjustable as the seat moves forward and back on the frame. 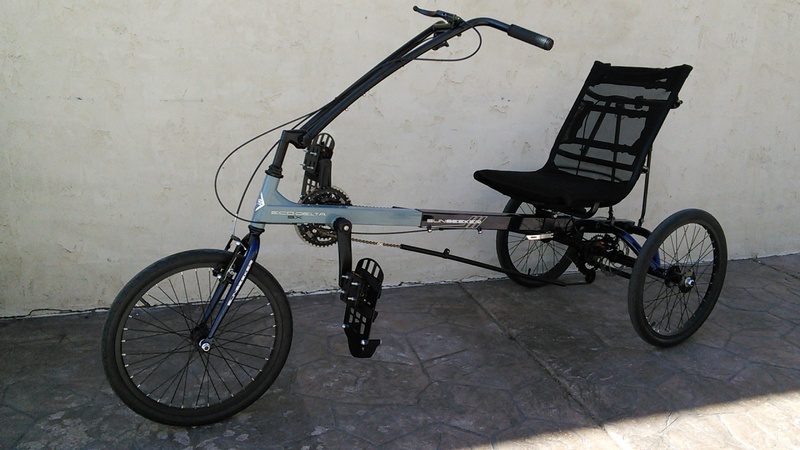 Additionally, the seat can lean more recumbent or sit more upright based on your needs. Simplicity meets comfort. 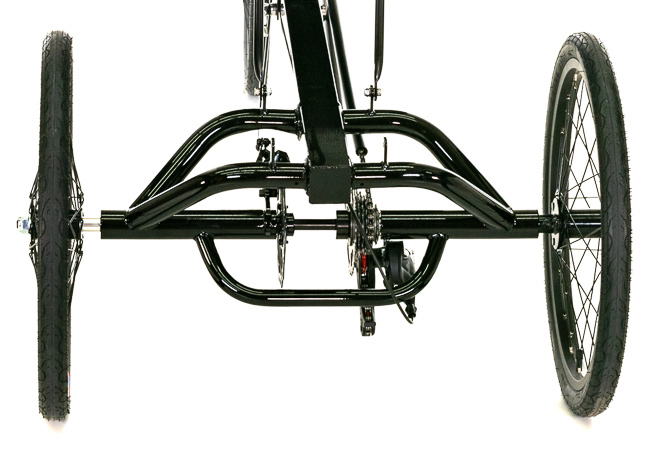 This frame is incredibly durable, designed to hold up to 300+ pounds. The Sun Seeker series are a great platform to start from, and feature flexibility in upgrades. Getting in and out of Eco Delta is easy, and the ride is very comfortable. 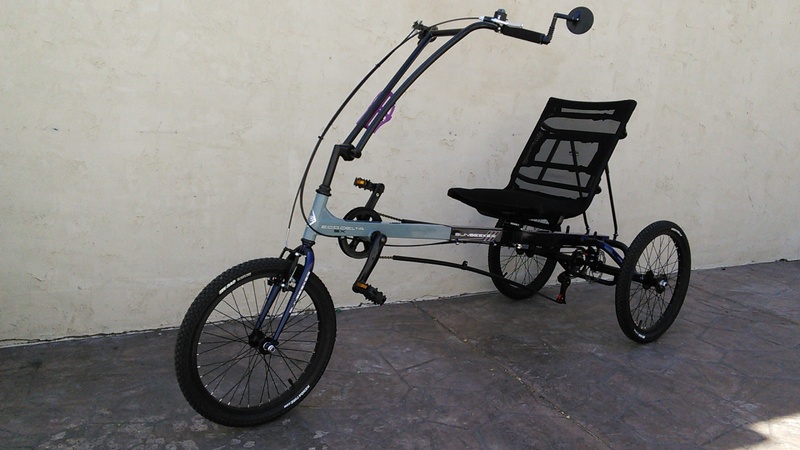 With the affordable entry price, there is room to customize the trike with custom features important to each custom rider. 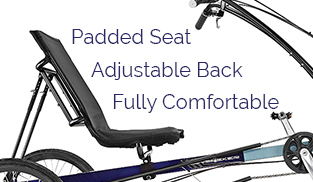 It has a fully adjustable mesh-back saddle with a padded bottom that keeps you cool and comfortable on long outings. 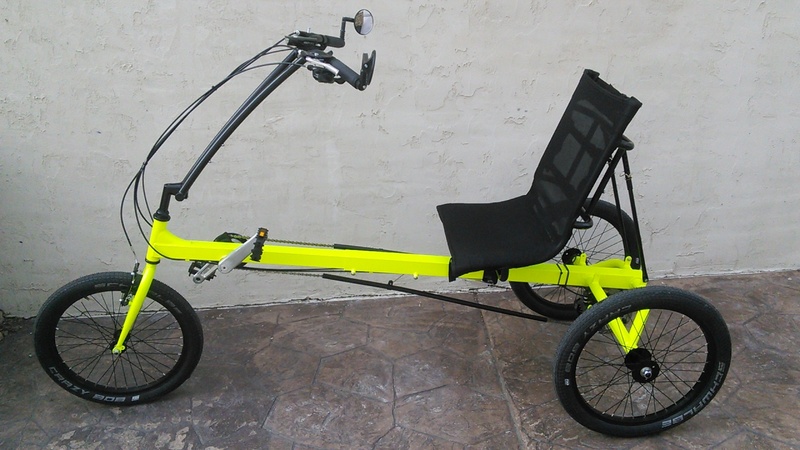 There are spare bottle mounts on the handlebar and seat frame to let you carry plenty of hydration for the long hauls.